I hope everyone had a fantastic weekend, it's 11 days until I head off to sunny Las Vegas and I'm counting down to the hours and minutes! Today's post is filled with updates on fashion topics, upcoming events and a few videos! Over 1 week ago it was announced that Fashion Television has ceased production after 27 years. It is truly devastating to know that the show that had inspired my education and career in the Fashion industry is no longer. We will all miss Jeanne Beker and her wit as she literally ran from show to show and updated us on designers, photographers, artists, models and everyone in between. Thank you for the inspiration FT! My Fat Little Rule Book by Jacquie Somerville is officially released and available for purchase on Amazon.com for only $4.99 for your Kindle, click HERE. We are so excited for Jacquie and this new addition! 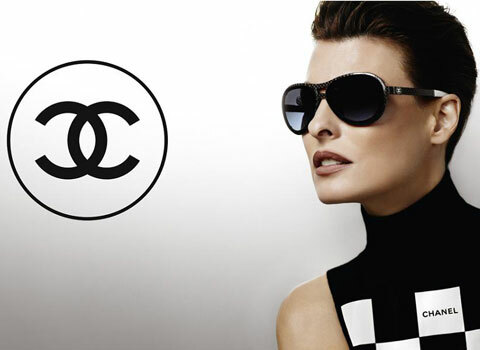 Linda Evangelista becomes the face of the new Chanel eye wear campaign photographed by the mastermind himself - Karl Lagerfeld. Today is the last day for the giveaway! 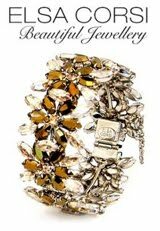 There will be 4 winners for 3 VIP cards to The Cross Design and 1 Glam bracelet by DeLysh Design!! Click HERE to enter! I See Noise - BIG ANNOUNCEMENTS!! H&M outfits under $100 - Poolside Addition! Sweet Easter times & treats!